Mr. Appel is a member of the Firm’s Litigation and Real Estate Sections and the Natural Resources, Land, Water and Environmental Law practice group. 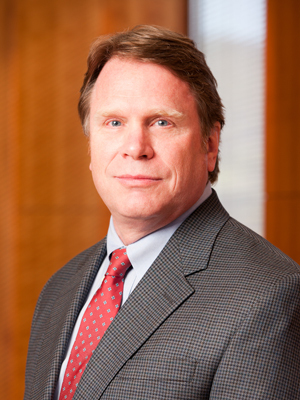 He has extensive experience in the environmental law area, and has represented both plaintiffs and defendants with respect to many complex environmental issues over the years relating to the National Environmental Policy Act, the Clean Water Act, the Endangered Species Act and Toxic and Hazardous Wastes. This includes the provision of assistance on issues relating to compliance, permitting and litigation (when necessary). In the area of water law, he has represented cities, special service and improvement districts, business entities, irrigation companies, and individuals in every aspect of the practice, including administrative proceedings, as well as trial court and appellate litigation. He also has experience with Interstate Compact and other issues relating to the laws governing our larger rivers. In the local government arena, Mr. Appel has represented cities, special service and improvement districts, business entities and individuals. His practice includes both the administrative and judicial aspects of this practice area. Finally, he has represented individual land owners in the emerging area of conservation easement law. Mr. Appel has been included on the list of The Best Lawyers in America in Environmental Law, Land Use and Zoning Law, Natural Resources Law, and Water Law. He maintains an AV Preeminent (4.5) rating with Martindale-Hubbell, which is the highest rating awarded to attorneys for professional competence and ethics. Mr. Appel was also selected for inclusion in Mountain States Super Lawyers (2008) in the category of Environmental, Energy & Natural Resources, Land Use/Zoning and has been voted by his peers throughout the state as one of Utah’s “Legal Elite,” as published in Utah Business Magazine (2004-2011).